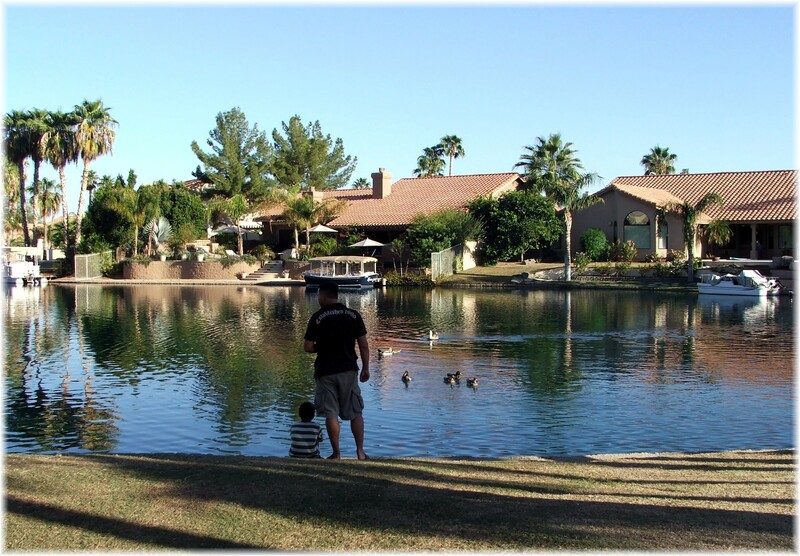 The Islands Lake Community in Gilbert, Az. Many different builders are represented in The Islands. You’ll find homes built by Continental, UDC, Hunter, Superstition Homes, US Homes, Blandford in addition to the custom homes throughout the community. 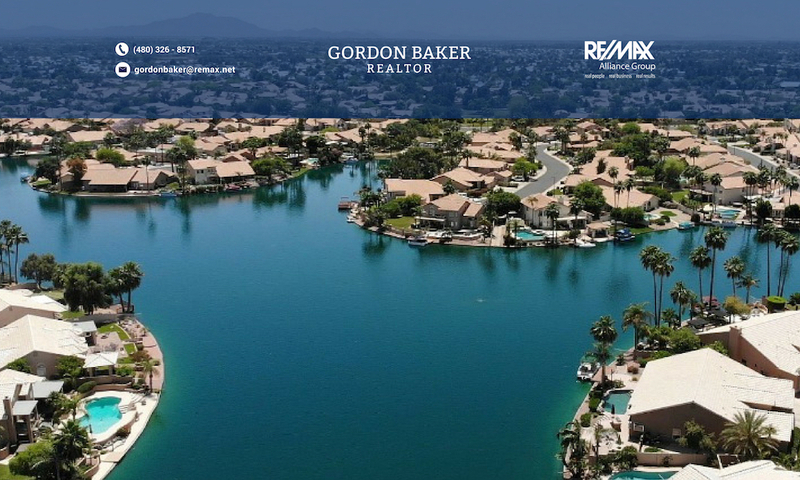 Waterfront property in The Islands can be found in subdivisions such as Catalina Bay, Key Harbor, Windhaven, Harbor Point, Coral Point, The Shores, Lake Mirage, Desert Shores, Sandcastle Village, and Tres Vistas. Home sizes range from around 1,300 to over 4,000 sq.ft. on over-sized 1/4 lots. For those with school age children, it is important to know that homes in The Islands south of Warner Rd. are in the Chandler School District, while those north of Warner Rd. are in the Gilbert School District boundaries. 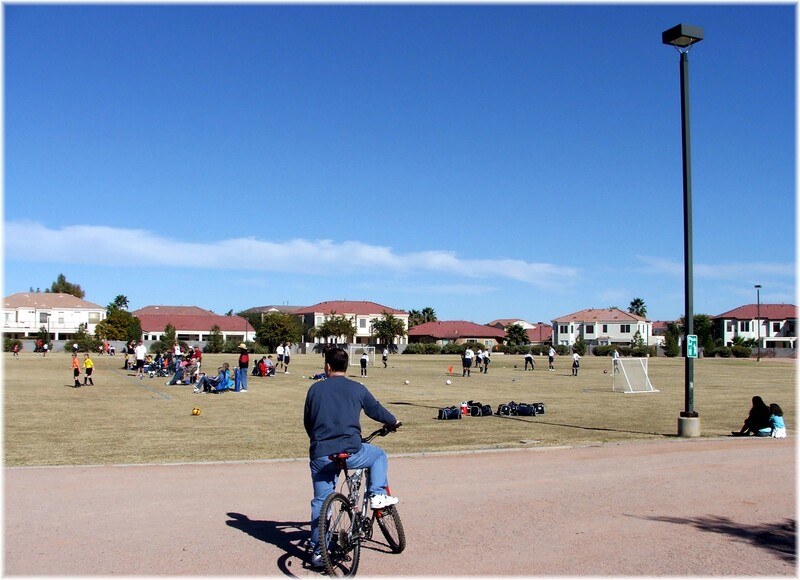 Less than 1 mile north of The Islands is The McQueen Park and Activity Center. On the east side of the activity center, there are 2 basketball courts, 2 sand volleyball courts and 2 tennis courts with a picnic/barbeque area close by. To the south of the basketball and tennis courts are four softball diamonds. If you would like to receive updated listings of homes in The Islands, click on Receive The Islands Homes via e-mail. 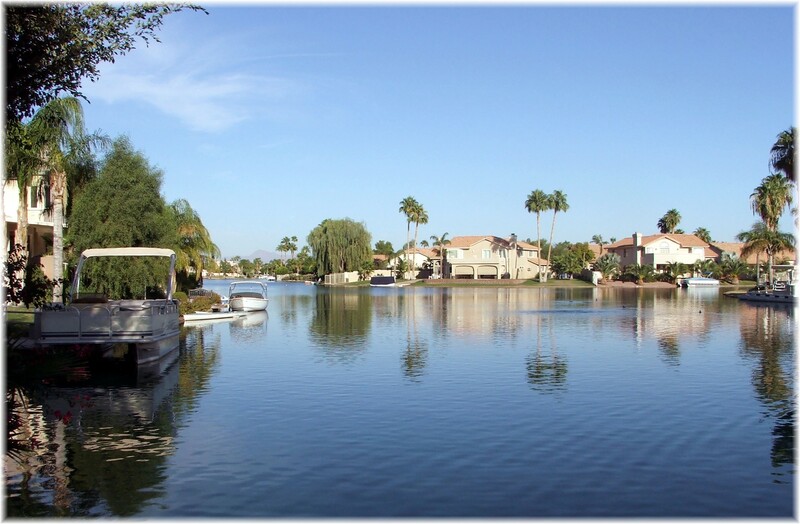 To search for waterfront homes, go to Advanced Waterfront Search. For additional real estate information, go to Gilbert Real Estate. Previous PostPrevious What are the on-going costs of a pool in Phoenix?